New research led by University of Otago scientists indicates there is growing evidence that whale and dolphin-watching activities can adversely affect the marine mammals. 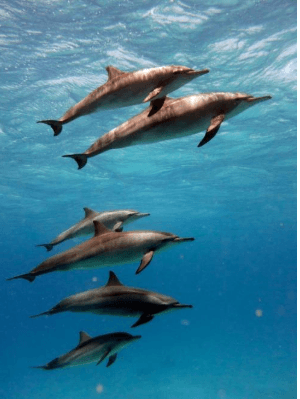 The study “Behavioural responses of spinner dolphins to human interactions” was published recently by the journal Royal Society Open Science. The research focused on populations of spinner dolphins off the coast of Egypt, where a variety of regulations over tourist interactions with dolphins applied in different areas. Prof Liz Slooten, of the Otago zoology department, said Egypt could learn from New Zealand over limiting the number of boats and visits, as well as using licences, and codes of conduct, to protect marine mammals from adverse effects. New Zealand could also learn from Egypt’s “area-based approach, with zones for boats, zones for swimmers and zones with only dolphins”, she said. The Otago researchers said it was time to act on the scientific evidence on the effects of dolphin-watching on wild animals and any unregulated increase in dolphin tourism should be discouraged. Dolphin groups should also be fully protected while calving, feeding and resting, and well before “populations are compromised”. Researchers from Italy, Hong Kong and the Falkland Islands also contributed to the study, together with first author Dr Maddalena Fumagalli and Prof Slooten, of the Otago department, and Associate Prof John Harraway, of the Otago mathematics and statistics department. Dr Fumagalli conducted the research as part of her Otago PhD studies. She said the Egyptian study focused on three areas, one with no tourism, and the others with controlled, and uncontrolled tourist activities, respectively. Spinner dolphins rested and slept only in daylight, and in the shallow, protected waters of reef lagoons. Human interactions in these lagoons “caused disruptions to the dolphins’ resting patterns”, Dr Fumagalli said. Where there were restrictions on how close boats and swimmers were allowed to approach the dolphins’ resting area, the dolphin rest needs appeared to be met. But at the uncontrolled access site dolphins could find it “impossible to rest”, causing “great concern”. Repeated sleep and rest loss could eventually result in population decline or displacement, she said.